As a child, Oliva had a passion for painting and writing about anything that came to mind. As she matured, her writings were focused on anecdotes, essays and poems. Later on in life, she began writing books, some currently in the works and others already published in digital and paperback formats. Her writing interests, some with bits of humor and drama, include a full color children’s book. 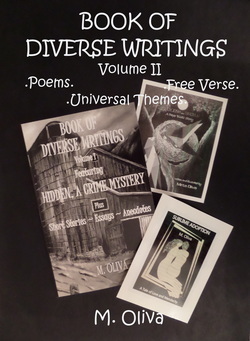 The other three publications consist of a novel; a crime mystery, plus miscellaneous short stories and a book of miscellaneous poems. A drawings’ book and the Spanish translation of the children’s book are under revision. Oliva’s paintings started with drawing the human figure in black and white after taking drawing courses in MDC. Gradually, she delved in pastel and oil portraits, followed by oil renditions of landscapes and animals. When it became necessary to divert her full attention to a successful career path in banking, she had to put aside all her artistic dreams. Down the road, after selective antiques collecting and planning, she opened and operated an antiques and collectibles store for a few years – appropriately named Antiques Are Forever, the corporation now inactive. 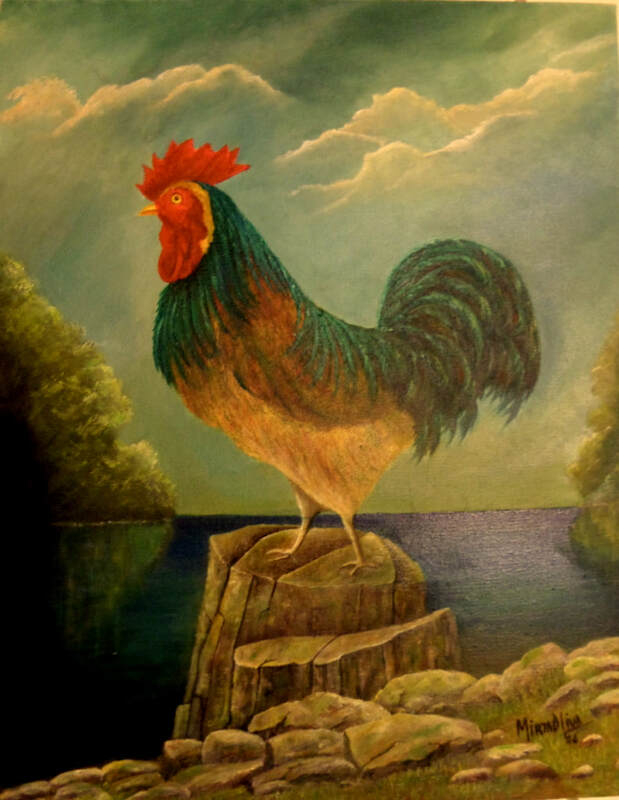 Dealing extensively with antiques and art brought her back to painting. Oliva’s new emphasis was to study the masters’ techniques by visiting art shows and museums or from already acquired antique oil paintings. But a new artistic vision added abstracts and modernism to her realistic painting style. Ultimately, she illustrated her books with existing or new paintings. Will soon appear in paperback in Amazon and other major distribution channels. Even if there is no personal connection to the "adoption" theme, the intricate plot will capture the reader's interest as to how it will unfold and the way the varied issues have been dealt with. While the story gets complicated with every chapter, the reader will find a connection to the title and the "Make Amends" poem. The narrative, in the end, will become clear: "there was a reason behind the madness". Read till the end, be surprised! "You may argue that I had no other real experience to compare their love with, but why would I need to compare my state of mind insofar as feeling loved when I have never felt the lack of it?" "... But my sweetheart was there, eager as I was to share fleeting while unforgettable moments". "...blurted out a new bombshell, quick enough as to keep me prisoner of her sorrowful confession..."
"Uncover the lies, relieve the hurt, be brave before it's too late; tell the truth ... let it be! Make amends! And you'll be FOREVER FREE!" Sublime Adoption ~ A Tale of Love and Mendacity. Available in Kindle, Apple iBookstore, B&N (Nook), Sony and Kobo. ​This labor of love is dedicated to all natural and adoptive mothers of the world, and to all adopted children of any ages. The story is not about chastising anyone for mistakes or actions of the past, but rather it focuses on the ill effects of continued lies and deception. In the end, repentance and the power of forgiveness prevailed. Other relevant situations promote and achieve a sense of acceptance and pride by those chosen children. "There is no better feeling than feeling loved and wanted - two different concepts independent in their values but, when put together, they elevate the meaning of the word ‘love’." This far-reaching phrase, in whole or in part, appears elsewhere in the book and it is germane to adoption matters of the heart. As the title suggests, the Book of Diverse Writings – Volume I - compiles a variety of works: short stories, essays, anecdotes and trivia. 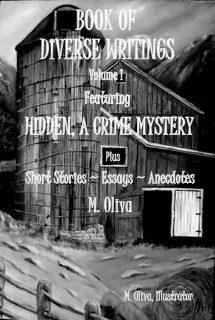 The book begins with HIDDEN, the featured crime story, followed by fifteen other short stories with single or mixed genres: action, adventure, family, fantasy, light romance and science fiction (Sci-Fi), thus giving the readers a wide choice of themes and plots to read – all with surprise endings. The Anecdotes are about personal real life thrilling experiences with a touch of drama. The essays range from honor and pride to inspirational and motivational themes; from personal views on life or careers to philosophical renderings and other subjects. This wide variety will suit individual preferences in more than one way. Cover: Adapted photograph from my original oil painting in full color. ​A collection of poems about love, abstract, inspirational, motivational, and anything else that came to mind. Difficult for us to traverse. --But… what's there to be gained…? It is time to make amends. Because “you are good…” Just do the math! Wake up my friend… and make amends! Tell the truth… let it be! An endearing kids-to-adult fantasy tale about two enlivened birds depicted in realistic settings - by the light of the silvery moon. The last two pages - emphasizing love and caring for animals of all kinds - were dedicated to Ollie the Beagle and Brandy the Pomeranian, now in their special Heaven. But I’d always be watching both birdies and hatchlings. a feathered-chick had arrived - It really blew her away! With only one worm - what was she to do? When two little beaks were begging for food! To join her own breed, I saw more than one tear . . .
remained always together, forever true . . The above story starts in England where the protagonists embark on a voyage to the Caribbean. With the help of his secretary, the Baron plans to finish his book on location, i.e., where the pirates do their thing. As it turned out, they got too close for comfort with the famous thieves. Enjoy this and so many other varied stories about pirates and other enjoyable themes written by imaginative authors in this Anthology. A young childless couple has settled in this remote area away from family to enjoy nature and to "live green" as much as possible; however, things always happen to change good people's plans, or so the story goes. 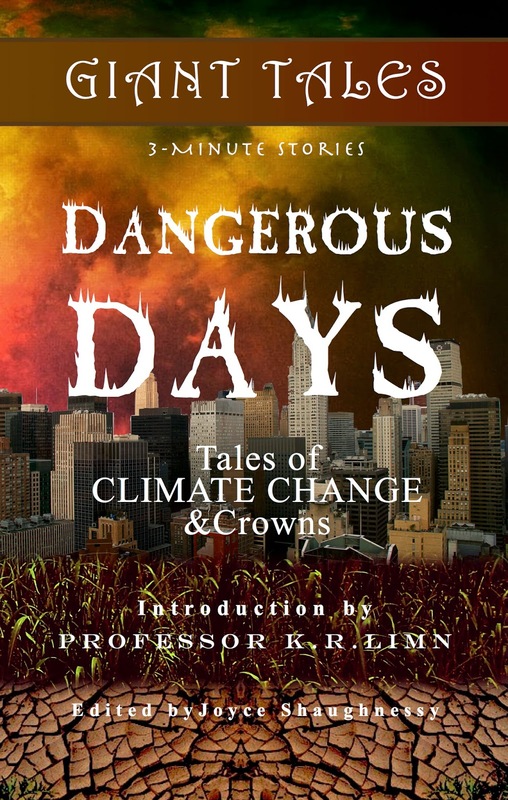 Many other varied themes are included in this collection of versatile short stories. What is this? Broken used diskette parts mounted on a black coated canvas. ALSO, on this page click "Blog" to view "Mirta's Blog of Pet Peeves and Ideas"